A celebrated author of children’s books flies into a rage after dinner on night and beats his illustrator-wife almost to death. In the aftermath, he and others in his life explain how he came to this point. There is plenty of tragedy to go around starting with his father and continuing through Oliver. As the important people in his life share what they know about him, with Oliver filling in some of the events that scarred him, a portrait of a sad and depressing childhood and a life changing summer in France knit the strands of his life together. A look into how a psychopath might become that way. One of the highlights of this year’s BEA was attending the Editor’s Buzz panel. 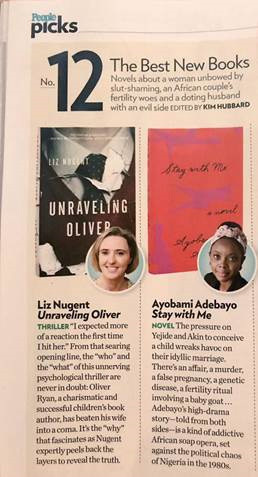 All of the books presented looked terrific, but one that definitely appealed to me was the psychological suspense novel UNRAVELING OLIVER BY Liz Nugent. 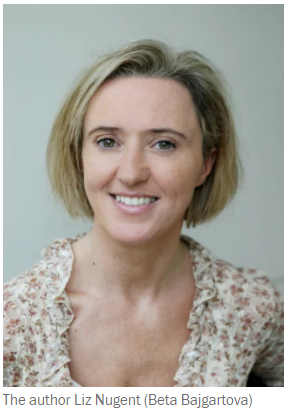 This book had already been published to great critical acclaim in Ireland a few years back, and it even hit number one on the bestseller list. UNRAVELING OLIVER begins in quite a dramatic way. Oliver has just beaten his wife Alice, seemingly out of nowhere; and she might not even live to tell her side of the story. Oliver is a handsome man who also happens to be a successful children’s author — not exactly your typical abuser. His wife is the illustrator for his books, and by all accounts, she’s a very nice woman. What could ever have taken place that Oliver felt the need to beat Alice into a coma? The novel begins with Oliver’s account of events, and I have to admit that I thought this novel was going to be another book by an unreliable narrator. (And you know I’m not always fond of these stories because I sometimes feel manipulated.) 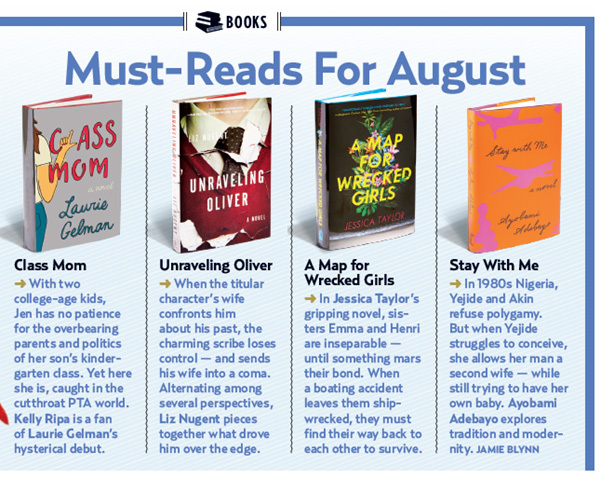 However, UNRAVELING OLIVER was definitely different… in a good way! Oliver did provide his story in various chapters; however, so did many other people who had encountered Oliver at some point in his life. The true mystery of this novel isn’t what happened to Alice. Rather it’s why did Oliver snap one day and beat her? The majority of this novel is made up of stories told by individuals who knew Oliver, both from the present and his past. As these stories are revealed to the reader, it becomes apparent that Oliver has some serious baggage from his past; and it’s these past events (and the secrets surrounding them) that triggers Oliver to psycho snap on Alice. I thoroughly enjoyed UNRAVELING OLIVER. I found it to be very well-written, and I was definitely hanging onto every word. I liked that the story was fast-paced and that it was told through the eyes of quite a few characters, and I definitely liked how the Oliver’s secrets came to light. However, there was one small thing that kind of bothered me. It takes place at the end of the novel when Alice is learning about Oliver’s past. Something happens that is just a little too convenient for me. It didn’t really affect my appreciation of the story, but it was something that seemed too easy… if that makes sense. I received a copy of this novel at this year’s BEA. I have been harping on about this book for months, so if you’ve not been subject to my evangelical zeal about its brilliance, allow me to quickly summarize. Everyone who knows Oliver Ryan is shocked when he beats his wife to the point of a coma. This mild-mannered children’s author who lives in a leafy (read: posh) neighborhood of Dublin is the last person any of them would suspect is capable of such a thing… or is he? With each chapter told from the PoV of a different person in Oliver’s life, Ms. Nugent slowly and expertly peels back the layers of this enigmatic man, revealing painful secrets, twisting lies, and a few revelations that take one’s breath away. Oliver Ryan – under the pseudonym Vincent Jax – is a world famous children’s author. His tales of a young prince have taken the world by storm, spawning both movie and theater franchises; one gets the impression of intentional allusions to Harry Potter as the series is described. His quiet wife, Alice, illustrates the novels for him and appears content to live in his shadow. She was raised with a mentally handicapped brother for whom she and her mother were full-time carers. This shaped her contentment and also her fascination with Oliver. While we never get to hear her voice, we certainly get her story. As we slowly meet people who intersected with them at different seasons, we discover the Ryans’ existence is built on carefully kept secrets. Barney, the man who loved and still loves Alice, Moya, the woman with whom Oliver had a tempestuous affair, Laura, the fellow student who died after their summer working at a French vineyard; all of these voices and so many more hold the keys to truth. As is the case with every suspense novel, reviews are difficult. I want to entice you to read Unraveling Oliver, to let you know what kind of journey you’ll be on, while at the same time revealing nothing. I’ve read this book twice now – once following its Irish release in 2014 and once on its American from this August – and I was impressed by the craftsmanship of this mystery both times. The main mystery – how Oliver could do such a thing to his wife – is solved multiple times, for the truths of people’s pasts are rarely easily revealed. 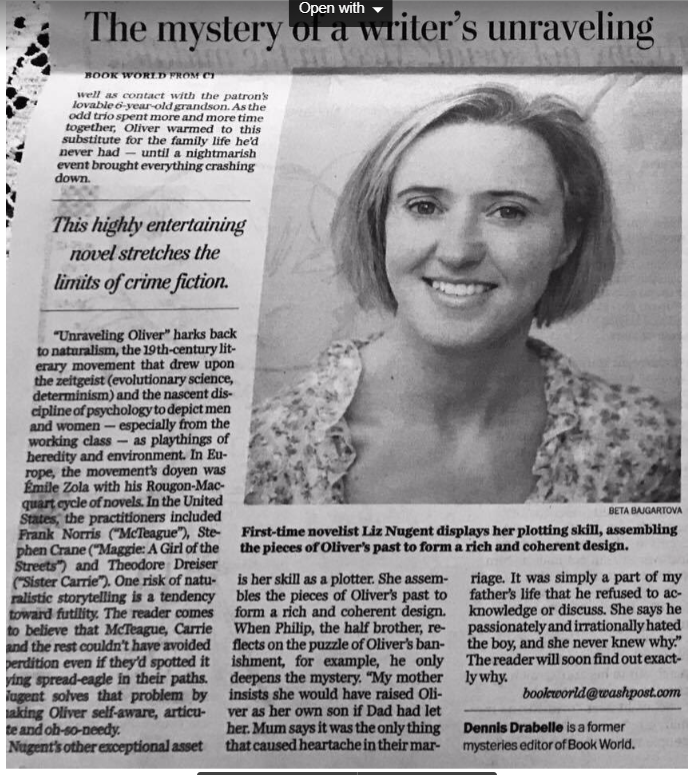 This novel won awards in Ireland – a country which adores crime and suspense novels – for a reason. There are no trigger warnings here, but there may be some cultural bits or bobs that American readers may not be familiar with. If you run into a phrase or idea that sounds foreign, just keep reading. The reveals are universal, even if they come in Dublin accents. In this “compelling, clever, and dark” (Heat magazine) thriller, a man’s shocking act of savagery stuns a local community — and the revelations that follow will keep you gripped until the very last page. This work of psychological suspense, a #1 bestseller in Ireland, is perfect for fans of Patricia Highsmith and Ruth Ware. So begins Liz Nugent’s astonishing debut novel — a chilling, elegantly crafted, and psychologically astute exploration of the nature of evil. Oliver Ryan, handsome, charismatic, and successful, has long been married to his devoted wife, Alice. Together they write and illustrate award-winning children’s books; their life together one of enviable privilege and ease — until, one evening after a delightful dinner, Oliver delivers a blow to Alice that renders her unconscious, and subsequently beats her into a coma. 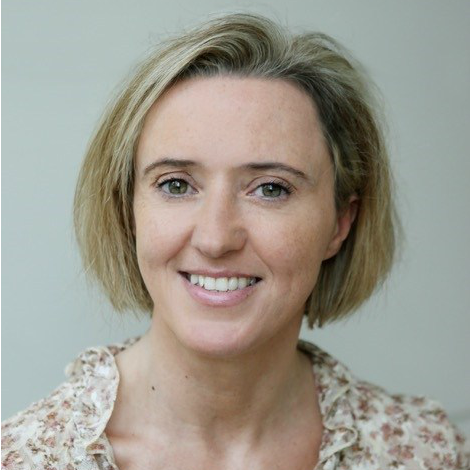 Irish author Liz Nugent has penned a debut that’s dark, eerie and smartly crafted, with a variety of characters, each taking a turn telling their story, and relating what they know about Oliver. The chapters whiz by and the tension mounts as the narrative branches out, the characters connected in ways that eventually make sense. Oliver’s is the first voice we hear, hateful and embittered. A well-known children’s book author, Oliver admits at the onset it’s not the first time he’s hit Alice, uncomplaining, talented Alice, the illustrator of his books — kind Alice who cares for her special needs brother. She’d have done well to stay with Barney, her dull but caring boyfriend, but she banished him for charming, troubled Oliver. As the characters weigh in, they offer clues about Oliver’s dysfunctional upbringing, his friendship with Michael, a gay man who’s attracted to him, and Michael’s sister Laura, who loved Oliver unconditionally 40 years before, when they both worked at a winery in France. It’s there that Oliver’s life changes in a tragic event he stages that doesn’t turn out as planned, one that breaks the heart of another, and in the end provides Oliver with his last chance for redemption. 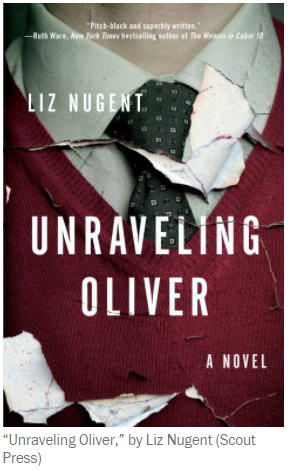 “Unraveling Oliver” is creative and engrossing with a twisted protagonist who’ll make your skin crawl, yet who elicits a modicum of sympathy in the end. 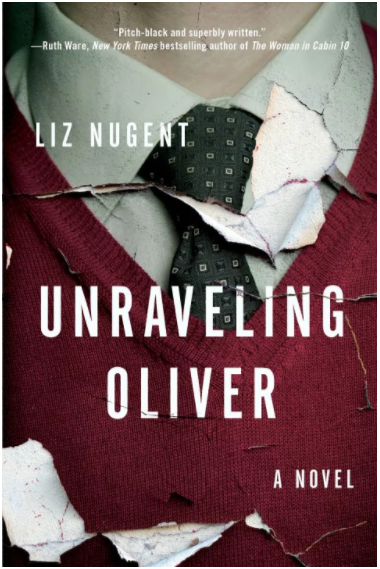 Oliver Ryan — he who is about to be unraveled in Liz Nugent’s fine first novel, “Unraveling Oliver” — is a middle-aged writer whose series of children’s books has earned him an international following and a fortune. But he has hardly walked onstage when we learn that he has beaten his wife into a coma from which she may never wake up. Set in Ireland, the novel consists of first-person monologues by Oliver and several other characters which serve to explain how he could have done such a heinous thing. We discover that Oliver wasn’t just poor as a child; he was poor and shabbily dressed at a rich kids’ boarding school, sent there because his father wanted to see as little of the boy as possible. Unfortunately, Oliver could see him. The school wasn’t far from the family house, which Oliver could bring into focus through a pair of binoculars and watch as the attention he craved was lavished on his younger half brother. Not surprisingly, Oliver grew an emotional carapace; in a nice phrase, he admits that none of the women he dated as a young man tugged at his “alleged heartstrings.” What’s behind his father’s cruelty provides one of the mysteries that Nugent teases out in this highly entertaining and aesthetically satisfying novel — a book that stretches the limits of crime fiction. The story is told by multiple narrators, who repeatedly home in on a fraught collegiate summer when Oliver, a male friend and the friend’s sister went to France to work as field hands at a family-owned winery. The aging proprietor happened to be working on his memoirs, and since the family had saved the lives of several Jews by hiding them during World War II, he had plenty to tell. Oliver, being more proficient in French than any other worker, was brought in from the fields to help with the writing. The promotion gave him needed recognition as well as contact with the patron’s lovable 6-year-old grandson. As the odd trio spent more and more time together, Oliver warmed to this substitute for the family life he’d never had — until a nightmarish event brought everything crashing down. “Unraveling Oliver” harks back to naturalism, the 19th-century literary movement that drew upon the zeitgeist (evolutionary science, determinism) and the nascent discipline of psychology to depict men and women — especially from the working class — as playthings of heredity and environment. In Europe, the movement’s doyen was Émile Zola with his Rougon-Macquart cycle of novels. In the United States, the practitioners included Frank Norris (“McTeague”), Stephen Crane (“Maggie: A Girl of the Streets”) and Theodore Dreiser (“Sister Carrie”). One risk of naturalistic storytelling is a tendency toward futility. The reader comes to believe that McTeague, Carrie and the rest couldn’t have avoided perdition even if they’d spotted it lying spread-eagle in their paths. Nugent solves that problem by making Oliver self-aware, articulate and oh-so-needy. Nugent’s other exceptional asset is her skill as a plotter. She assembles the pieces of Oliver’s past to form a rich and coherent design. When Philip, the half brother, reflects on the puzzle of Oliver’s banishment, for example, he only deepens the mystery. “My mother insists she would have raised Oliver as her own son if Dad had let her. Mum says it was the only thing that caused heartache in their marriage. It was simply a part of my father’s life that he refused to acknowledge or discuss. She says he passionately and irrationally hated the boy, and she never knew why.” The reader will soon find out exactly why.